Get access to the nation's second-largest residential alarm monitoring provider, Monitronics, and enjoy 24/7 protection for your home and family at just $35 per month. Starting at $45 per month, this package will give you access to HomeTouch® home automation technology, as well as round-the-clock alarm monitoring. 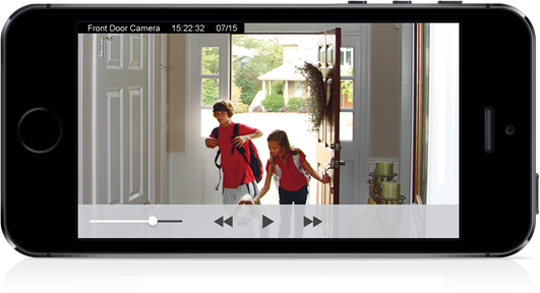 For home security monitoring 24 hours a day, wireless home management technology, remote video and image capture, and more, ask for HomeTouch® Premier. Packages begin at just $55 per month. 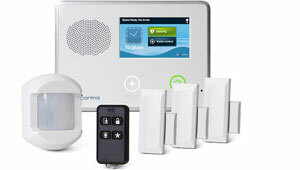 best choices in home security system sales and installation. 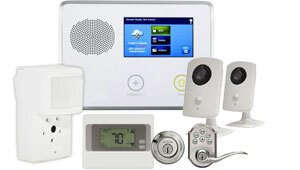 We are a locally based and family-owned alarm company, and dedicated to customizing state-of-the-art home security systems that perfectly meet our customers' security needs, budget, property layout, and lifestyle. We are fully licensed by the California Bureau of Security and Investigative Services (BSIS), reputable members of the California Alarm Association (CAA) and Greater Los Angeles Security Alarm Association, and our owner has over 25 years of security industry experience you can count on. From upgrading an existing home alarm system to installing a monitored surveillance system with two-way voice verification and remote home automation, our innovative solutions can be tailored to meet any home or commercial security need. We combine our expert alarm installation services with affordable security packages, stress-free service terms, and reliable alarm monitoring services from Monitronics, the nation's second-largest residential security provider, for an unbeatable value. At Guardian Integrated Security, we prioritize our customers' best interests at all times. It's why all of our employees undergo extensive background checks and why we sell and install security equipment from the most-trusted brands in the security industry, such as Honeywell®, 2GIG Technologies, DSC® (Digital Security Controls), and GE® Security. 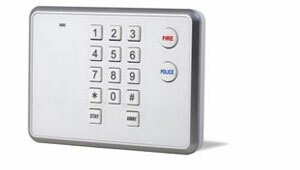 It's also why we are an Authorized Dealer for Monitronics, an award-winning alarm monitoring provider with over 1 million satisfied customers, as well as a 5-Diamond Certification from the Central Station Alarm Association (CSAA)--a distinction shared by less than 3% of recognized monitoring centers in North America. Delivering unparalleled alarm monitoring services 24 hours a day, 7 days a week, 52 weeks a year, Monitronics enhances every home security system we sell and install throughout the Greater Los Angeles area. From burglaries and intrusions to medical emergencies and carbon monoxide leaks, our integrated security systems will not only protect your loved ones and property, but also give you peace of mind no matter where you are. Using just a smartphone, tablet, or computer, you can remotely manage your alarm system and wirelessly control door locks, burglar alarms, thermostats, lighting, small appliances, security cameras, and more. So whether you live in Chatsworth, Burbank, Simi Valley, Calabasas, or any other San Fernando Valley or Los Angeles city, give us a call today and schedule your free on-site consultation. Open Monday through Saturday, 8:00 a.m. - 8:00 p.m.